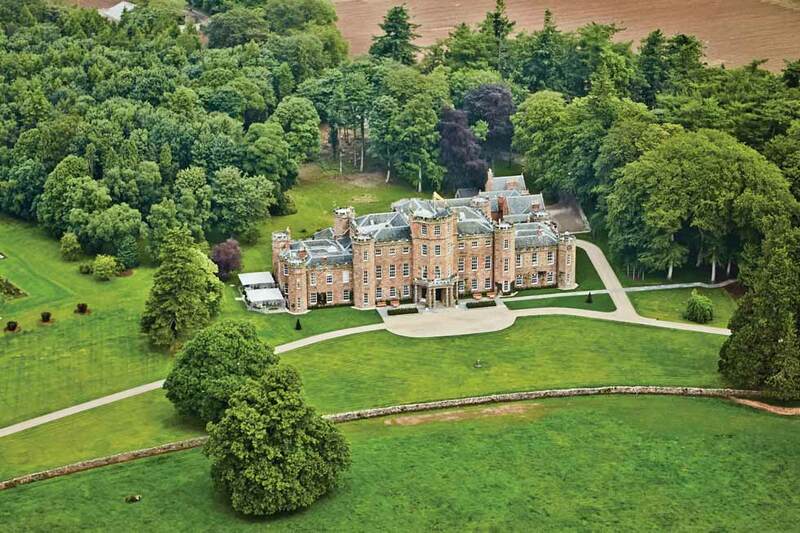 A magnificent fairytale castle hidden in 400 acres of its own forested parkland, this Scottish baronial mansion between Dundee and Aberdeen is an exclusive-use venue with a real ‘wow’ factor. 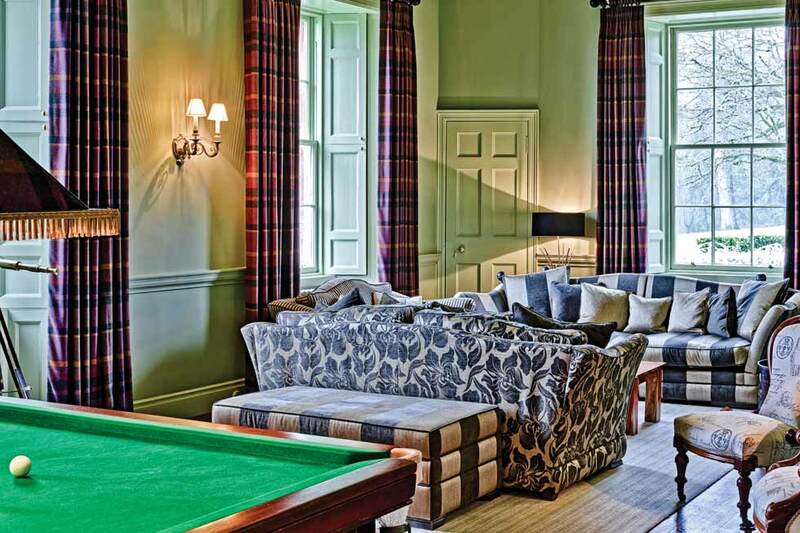 Alban Castle offers truly opulent, lavish interiors with every modern convenience you could wish for, including its own whisky bar and Billiards room. 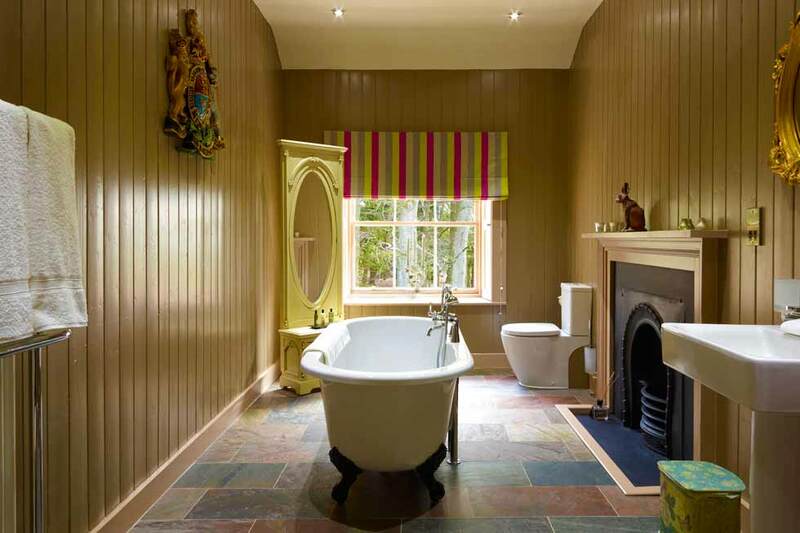 Each of Alban’s bedrooms and its many public rooms offers traditional Scottish luxury with a modern twist – from colour pops of plush velvet to dramatic feature walls, this is a Scottish castle escape with a difference. 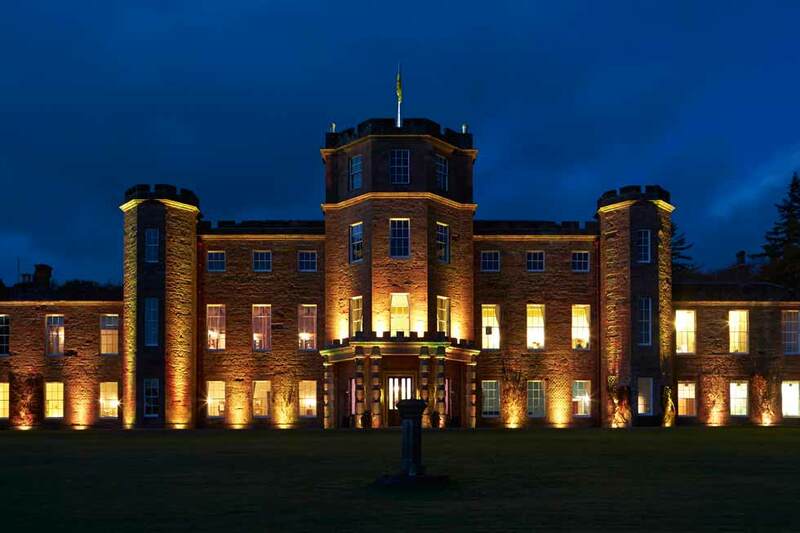 The winding, tree-lined driveway through the picturesque grounds and deer park creates an enchanting entrance to your very own country estate, exclusively yours for your weekend getaway, wedding or special event, whilst the imposing sandstone façade provides full fairytale grandeur. 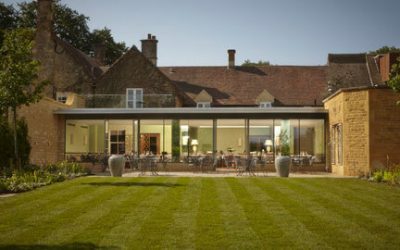 Alban Castle offers luxurious accommodation throughout, with a wonderful combination of traditional features and contemporary touches. 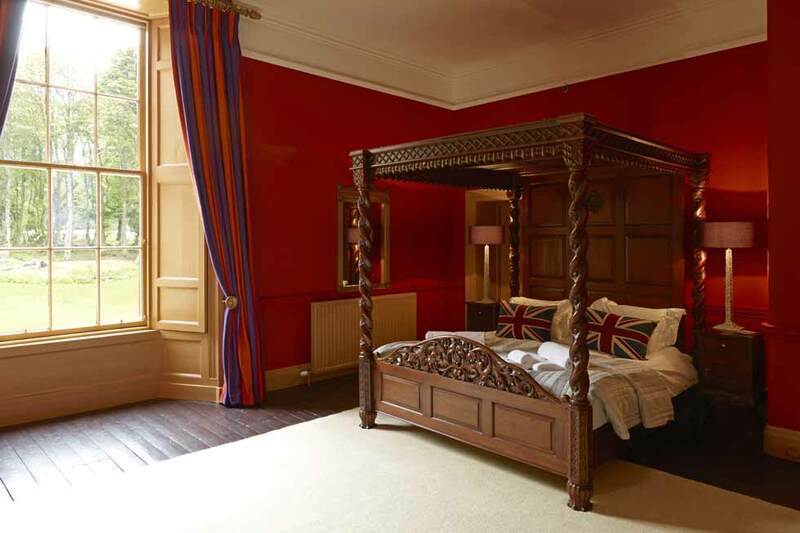 There are 19 luxurious bedrooms in the castle with 14 bathrooms to accommodate up to 44 guests including a double sofa bed, and the option to add 4 cottages to increase capacity to 29 bedrooms/64 guests maximum across the estate. 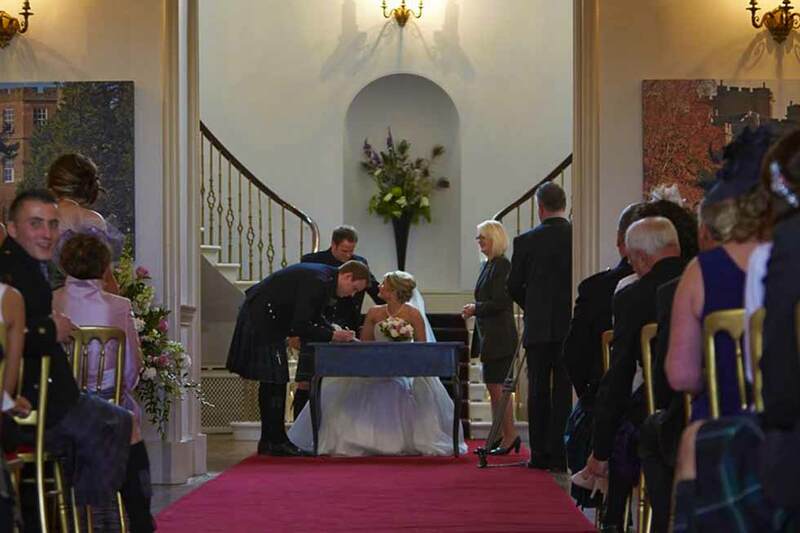 Find out more about prices to rent this luxury Scottish Castle for up to 44 guests (and cottages for up to 64 guests if required), to include housekeeping and full Scottish breakfast…. Alban Castle is located 40 miles to the north of Dundee and 35 miles to the south of Aberdeen. Drive time to Aberdeen Airport is approximately 50 minutes, or to Edinburgh is around 1 hour and 55 minutes. Glasgow is around 2 hours 20 minutes’ drive from the Castle. Can We View the Property Before Booking? Are there any Minimum Stay Requirements? How can I be sure I have chosen the right property? 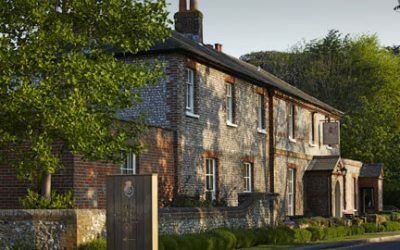 We have personally visited and inspected every single property in our portfolio and are extremely selective about which properties we recommend to our clients, so you can rest assured that each property meets our strict standards and is an accurate representation of the details and photographs you see on our website. We value honesty and integrity above all else and will ensure you are aware of anything you may need to know before you book, be it a creaky floor board or a limited mobile phone signal. 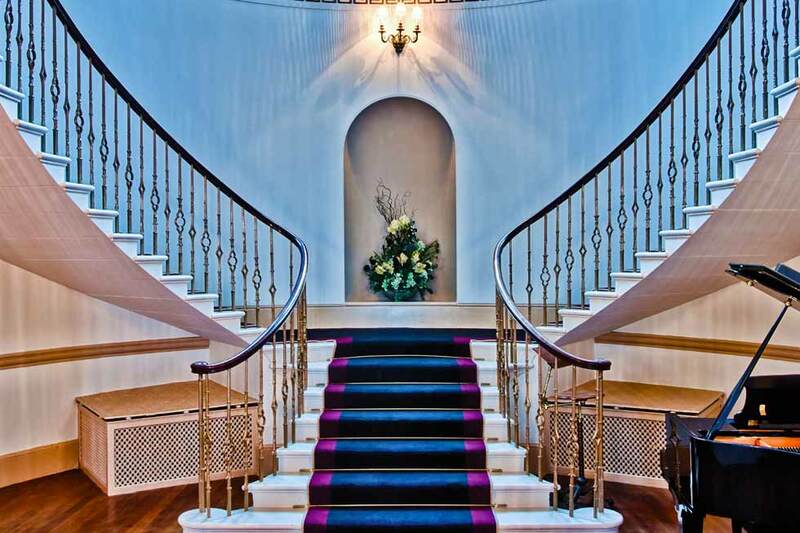 Our property visits give us an in-depth understanding and first-hand. Alban Castle is unique combination of old and new, with beautiful original features combined with very contemporary touches, from the beautiful fireplaces and magnificent staircase to the rich colours and sumptuous fabrics used throughout. 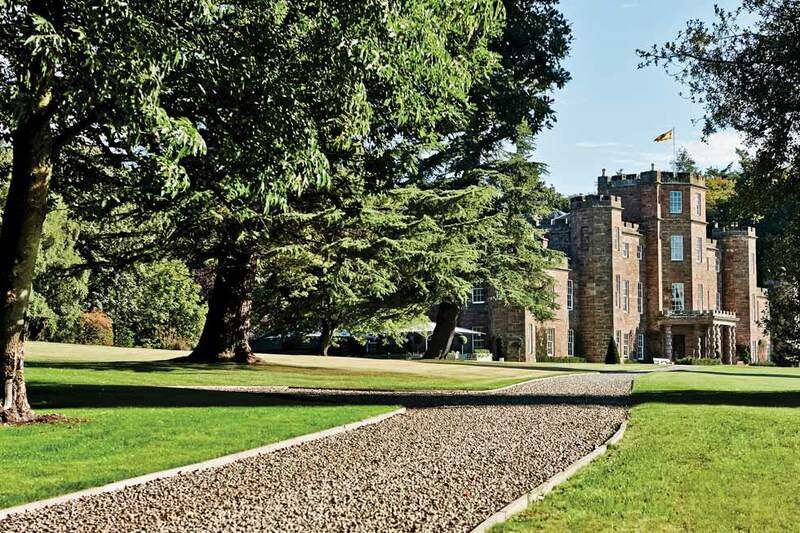 The setting is truly idyllic, set on the edge of the Highlands with its wild rugged beauty and teeming with wildlife, this amazing castle feels a million miles from city life. 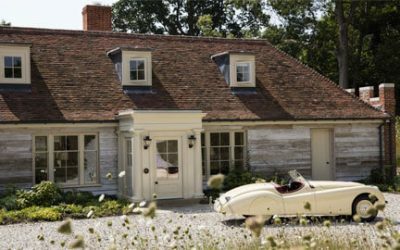 Add in the flexibility of being self-catered or catered, and the beautiful bedrooms, and you have the perfect property for pure, indulgent escapism.